Born in Pascani (Romania), 1940. He studied composition with Mihail Jora at University of Music in Bucharest. As he was still a student he imposed himself as part of avant-garde movement in Romanian music composition. After 1965 he achieves works of the 'open creation' type, of conceptual and environmental music. He involves himself after 1967 into the Romanian spectral trend. Starting with the work 'Concentric'(1969) his creation has got archetypal vocation by cultivating an aesthetic of the essentializing. 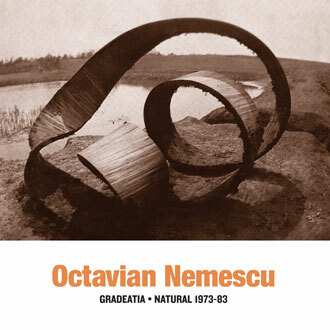 Octavian Nemescu cultivated the archetypal goals on all parameters and musical forms. He is the author of implosive music and of Imaginary music. He composed Multi-, Post-, Non- and Pre-Symphonies. Lately he is interested by music with initiation character, developed in a non-spectacular, ritualic atmosphere, as a chance to revigorate the old mysteries and as a modality of AWAKENING from the biological, mental and spiritual sleep.